Drinks giant Molson Coors has launched its 2017 wine brochure, which aims to help licensees boost wine sales by building the right range for their customers. The guide offers advice, while Molson Coors' category ladder simplifies the buying process by breaking wine down into regions. This classification tool groups wine into five categories: regional premiums, emerging varietals, regional classics, varietal favourites and brilliant blends. Regional Premium ​– Old and New World renowned regions offering something special to consumers with wine knowledge or those wanting to treat themselves. Emerging Varietals​ – discovery varietals and regions that create menu interest and appeal to drinkers who want to try something new. Regional Classics ​– Old and New World renowned wine regions offering choice to consumers with some wine knowledge. Varietal Favourites ​– The main seven traditional grape varieties (Merlot, Shiraz, Cabernet Sauvignon, Zinfandel, Chardonnay, Pinot Grigio and Sauvignon Blanc), which account for more than 60% of all on-trade wine sales. Brilliant Blends ​– House wines for price-conscious consumers. Each wine is assigned to a category, offers operators information on the different types of consumer and which wines they tend to enjoy. For example, the La Joya range, which offers Viognier, Gewurztraminer and Carmenere, is classified as 'emerging varietals', meaning they appeal to drinkers looking for something new. So, pubs with adventurous customers may want to consider stocking these wines. 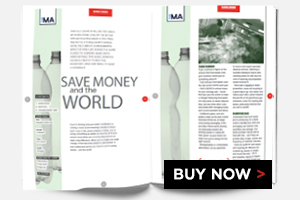 This brochure can help operators capitalise on wine sales and get the correct offer for customers, according to Molson Coors head of wine Gary Keller. He said: “Our wine range is in its eighth consecutive year of growth, with more than an 80% increase in volumes since 2009, meaning we are able to offer pubs more choice than ever. Why buy wine direct from the vineyard? Is Molson Coors’ claim about Carling ABV variation reasonable?